Dale Earnhardt Jr set of three brass bangle bracelets with silver plating finish and E-coating. 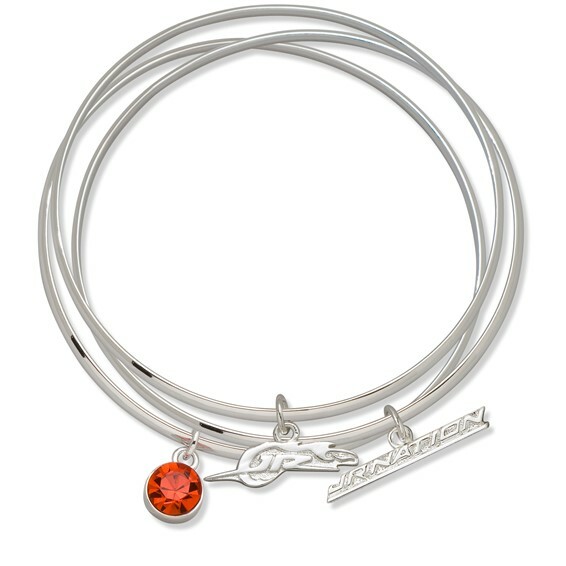 Bracelets come with three charms: an alloy team word mark charm, alloy team logo charm, and team color Preciosa crystal. Opening of bangles is 2.5in. Bracelets are packaged in cardboard box with clear window and come with a leatherette pouch for protection.